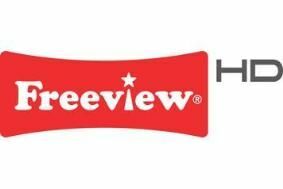 BBC confirms Freeview HD roll out will begin on December 2nd | What Hi-Fi? Writing in his blog, Graham Plumb, Head of Distribution Technology at the BBC, says The Winter Hill transmitter, serving Manchester and Liverpool, will kick off the Freeview HD roll out. The Crystal Palace transmitter in London is next in line for the upgrade, followed by four more in the first half of 2010. "We can give the names and dates of these transmitters in a little while when plans are a bit firmer," says Plumb. He also reveals that the Beeb is planning an upgrade to the Digital UK postcode database, which will tell viewers when they can expect their transmitter to be upgraded to Freeview HD. Earlier this month Channel Five was granted a licence to launch high-definition TV on Freeview from 2010. The other Freeview HD slots have gone to the BBC, ITV and Channel4/S4C.